Most of us have a vision that will pop into our head upon hearing the term ‘pawn shop’. However, that vision is widely skewed by the images we see on TV or in movies. Most modern-day pawn shops are nothing like the traditional stereotype people have held about them for so long. First and foremost, pawn shops are regulated by several federal laws as well as state and local laws. Many of them are family owned and operated businesses going back at least a couple of generations. They perform a needed service to the community, and provide their customers with options they wouldn’t have at a bank or other traditional financial institution. Getting a loan at a pawn shop is quite simple. You bring in an item of value, and a pawn shop will offer you a collateral-based loan on your property. The process is very quick and straightforward, doesn’t require a credit check and usually carries a very reasonable interest rate. You can pay back the balance due once you’re able to along with any fees attached and get your property back. If you are unable to pay it back, the pawn shop keeps your property as theirs, and there is no ill effect to your credit or anything else. Jewelry-N-Loan in Costa Mesa, CA goes even a step further by specializing in only high-end watches, diamonds and jewelry. 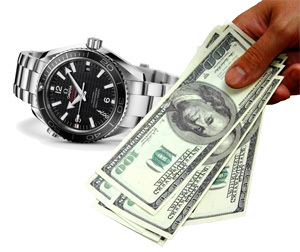 We give loans, as well as buy and sell on luxury items from brands such as Rolex, Cartier, Tiffany & Co., Omega and more. Our clients come to Jewelry-N-Loan because of our knowledge and reputation, and also because they feel comfortable and safe in dealing with us. We work hard to provide our customers with a safe, discreet and easy way to get the services they need, and we’ve been doing this for several years. If you’re in need of the services of a pawn shop, whether you’re looking to get a collateral loan, or sell your items out-right, Jewelry-N-Loan could be the answer you’re looking for. We’re located in the center of Orange County on Newport Blvd. in Costa Mesa, and always just a phone call away. Contact Jewelry-N-Loan today.